When I used to discuss literature with my university classmates, the name Chetan Bhagat always seemed to pop up during our frequent conversations. 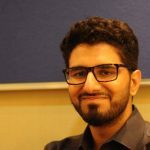 I’ve been aware of Bhagat ever since the movie 3 Idiots was released in 2009—as its script is based on Bhagat’s 2004 venture Five Point Someone—and following the international success of that movie, it came as no surprise that his other books were also cinematically adapted later on by Bollywood. Whoever is reading this review should first be made aware that I’ve read another Indian scribe who wrote in the English language, R.K. Narayan, so Bhagat is definitely not the first non-native author of English that I’ve come across. 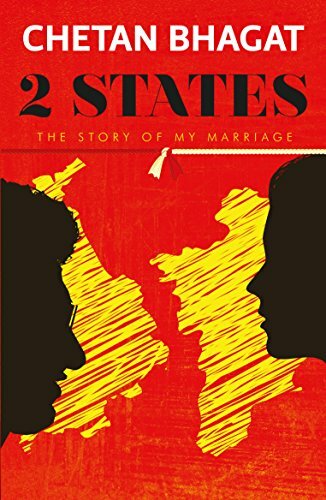 2 States, as the name implies, follows Krish and Ananya who are from distinct regions of India but end up becoming a couple during their MBA years. Krish is a Punjabi from Delhi and Ananya is a Tamilian from Chennai. Now, the plot does feel clichéd at the initial reading, and the book was more than generic in its opening chapters, but it later on becomes so witty that you forget the romantic angle and are forced to focus on the humor instead. The funniest bits are when the couple have to convince their in-laws to approve of their intended marriage. What’s the issue? Their parents are as traditionalist as any Asian family could be. Krish’s parents want the boy to marry a Punjabi girl. And Ananya’s parents want the girl to marry a Tamilian guy. The destination that the story is slowly but surely leading you to is extremely foreseeable from the get-go—the book’s tagline is The Story of My Marriage, after all—but the journey is far from tedious. This is not only the foremost Bhagat novel that I’ve read, but also the first one I’ve gone through that belongs to the romantic genre. The writing style is so suited to the YA genre that I wasn’t surprised that most of Bhagat’s readers are teenagers and adolescents. Many sections of the book brought back memories of my own high-school years, not because of the content, but due to the way the plot was followed through. I used to cherish reading young-adult authors such as R.L. Stine and Christopher Pike back in the day, and thus, nostalgia was inevitable. By the time I completed 2 States, I felt ten years younger, and I guess people who used to read a lot of YA fiction, and then progressed to adult-orientated tales, will most probably end up sharing my feelings. Bhagat’s flair for social commentary through minimalistic wording constantly reminded me of Narayan. One factor where Bhagat failed at but Narayan always seems to succeed at is going into the depth of the multitude of primary characters that were depicted in the novel. I reckon that if Bhagat had written this in the third person instead of the first person perspective, though that would’ve been unlikely owing to the semi-biographical nature of the storyline, then 2 States would’ve been a must-read. In the initial half of the novel, we see a more than needed percentage of Krish’s outlook on South Indian customs and traditions. But when it comes to the love of his life, Ananya, we only get to read about a handful of her opinions on the North Indians—specifically through the heroine’s interactions with her potential mother-in-law. Of course, both our main characters had many conversations with members of their own family and the other’s relatives, but there was a chance for advanced character development which was never taken upon by the wordsmith. Narayan has always been an expert in societal storytelling. One example is his novel which I have always deemed as his magnum opus, Mr. Sampath: The Printer of Malgudi. There were about four to five major individuals, and a ton of secondary figures, but they were handled so well that I was surprised that Mr. Sampath wasn’t originally penned as a play. Bhagat failed to utilize the literary entourage he had outlined. And the primary reason for this, in my opinion, was his choice of writing the book in the first-person point of view. Again, that perspective almost always suits any written work that is intended to be semi-biographical. Nonetheless, Bhagat has impressed me in the vein of Narayan by showcasing that the pen will always be mightier than the sword when you have to win over people’s mindsets. Just like Krish and Ananya tried their utmost to convince their respective families to honor their dreams of a peaceful wedding, Bhagat has shown me through his hard work how complicated Indian marriages really are. He never showcased that love marriages are more difficult than arranged marriages or vice versa. He remained diplomatic in his prose whereas any other author might’ve given a hint to which state of India he favors more. The paperback version that I’ve read is close to 300 pages but I felt that it was only novella-length long owing to how well-paced it was. In conclusion, Chetan Bhagat is a master of satire, and he joins R.K. Narayan and Mohammed Hanif in my list of favorite non-native authors in the English language. Not only is this Bhagat’s fourth novel but the quality of the book’s penmanship also complements that fact. Inequality seems to exist, more or less, in every part of the world; but it’s through literary works such as these that show us that love truly does conquer all in the end.